This last month has just flown by and now its that time again, most of my favourites are skincare this month as i seem to be getting more and more into it, I'm quite interested in trying some liquid exfoliants with glycol, such as REN radiance renewal mask and Alpha H Liquid gold..cant decide so would love to hear your recommendations. Anyway moving on - November Favourites ha! 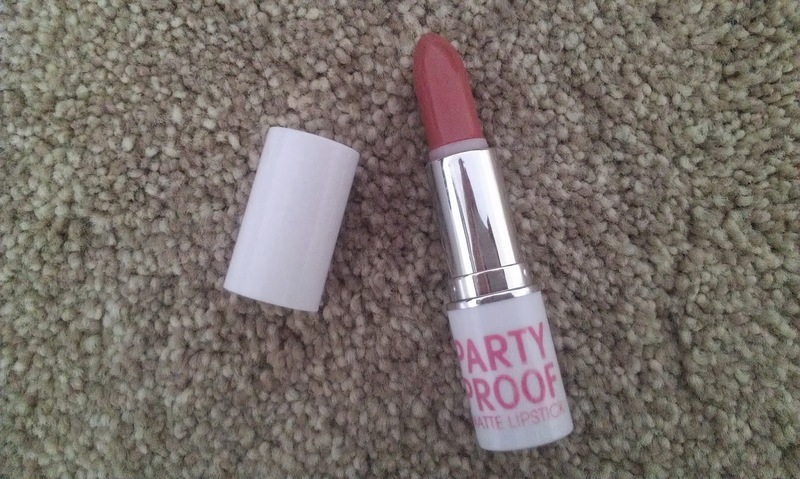 I received this lipstick in my first BirchBox and i really have been enjoying using it this month its a lovely my lips but better shade, it glides on smoothly and feels comfortable to wear, i was on the hunt for a good neutral shade lipstick and this turned up on my doorstep..i was a very happy girl! (i cancelled my glossy box and went for BirchBox instead it was so much more of what i expected from a beauty box). 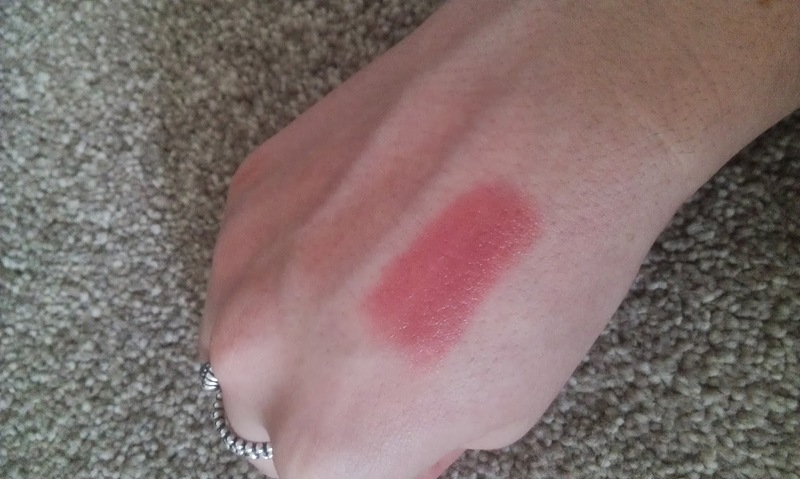 The only niggle with this is that it says its a matte lipstick but I'm not sure about that as it has a slight glossy sheen to it and it doesn't last that long but it is so worth it, i also love the fact it has a clear panel on the top of the lid so you can select your colour easy if your storing it in a makeup draw or something..what a nifty idea model co! This product is wonderful and i completely see what all the hype is about. I got this as part of the Origins Mask Marvels set along with another two masks the charcoal one and the drink up 10 minute mask, all though i do enjoy using them all this is my fave. It applies clear and i go to sleep with it on overnight and my skin has drunk it up no residue no nothing...just baby soft plump skin, the next day my skin looks great all my dry patches are gone and my makeup goes on so much better too, i nearly forgot to mention how yummy this smells just like peaches and its filled with lovely ingredients. The Mask Marvels set is an absolute bargain if your thinking about trying the Origins masks but think they may be to expensive for you- one Origins mask is around £22 for 100ml this set retails for £25 and contains three masks with 75ml of product, i also had 10% taken off mine at John Lewis as they had a promotion going at the time..BONUS! 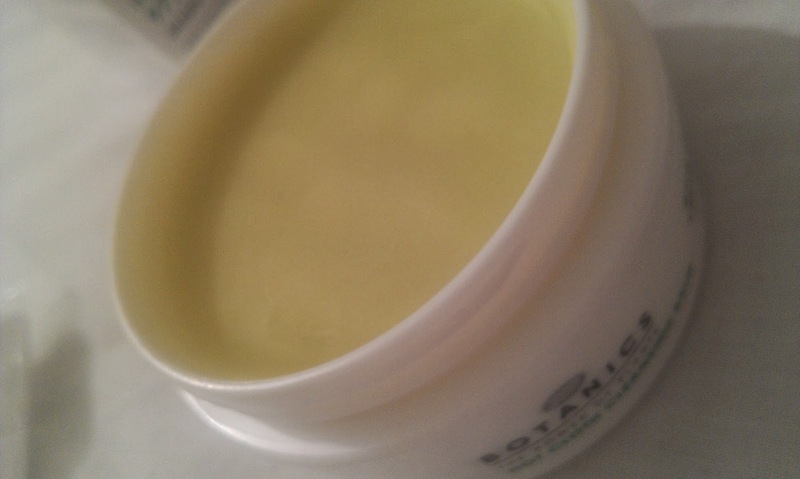 I have heard good things about this cleansing balm, so when i was in boots a few weeks back i decided to get it, after all it was pretty cheap so i didn't have much to loose ...and i bloody love it, i have been using my Body Shop chamomile cleansing balm and that removes makeup alot better but if you have dry skin the Botanics one is just amazing i have never felt so much softness from a cleanser my skin feels lovely and clean (i don't use the muslin cloth provided as that's pants so i use another one to remove the product), as i said before its not too great at getting rid of all makeup but i double cleanse at night when i use this so its not a problem for me. It looks like a hair wax so i just scoop a bit out and it melts over the skin into a lovely oil that smells like honey or toffee (cant put my finger on it ..but its so good) and when i wipe it off my skin is so soft and glowy. I recommend you try this- for £8.99 in boots, its usually on offer and at the moment its £6.99 now's your chance. I was delighted to see this in my BirchBox last month (see that i loved my box? 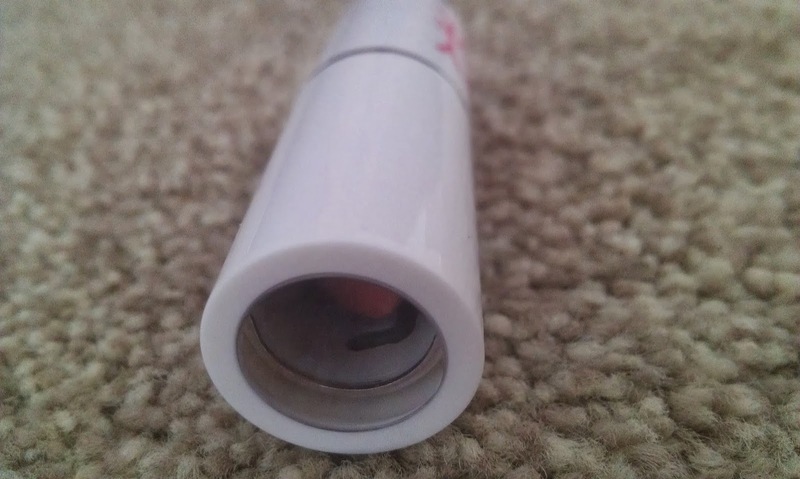 ha) i have been wanting to try the body range for ages.. i love it so much I'm savouring my last bit and thinking of getting the full sized one, the smell is actually amazing i can smell it all day! its a gorgeous musky vanilla scent that makes my skin so soft and sinks in straight away...ahh i just love it. 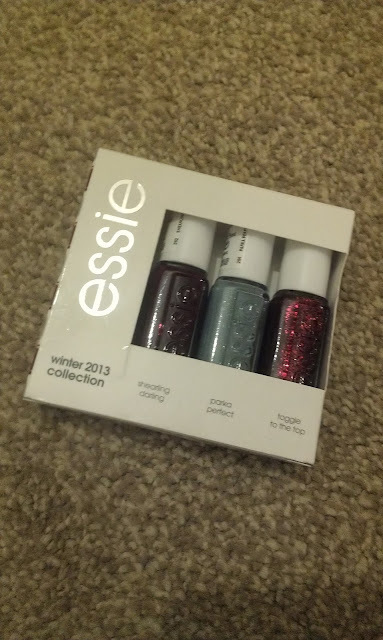 This has to be the first Essie mini set i have ever got, just because i loved ALL the colours in it and they are the most perfect winter colours (how cute are the names? ), i have been wearing these since i bought them my fave of the trio is probably Shearling Darling which is a lovely Burgundy plum creme that drys super glossy and looks really chic, it also has good staying power. The Essie Trio is around £12.99 i got mine from Boots. 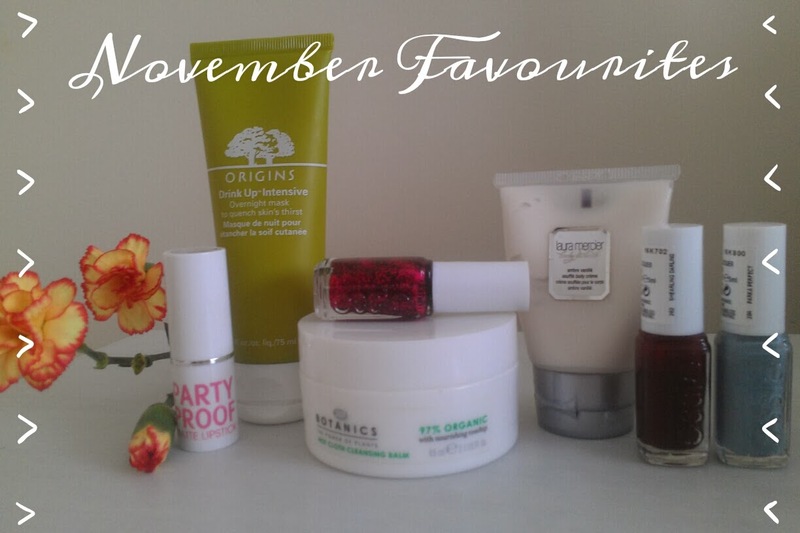 And there we have it, my monthly favourites. I would love to have a look at your monthly favourites posts so leave a link in the comments. Have you tries any of these products, what are your thoughts?